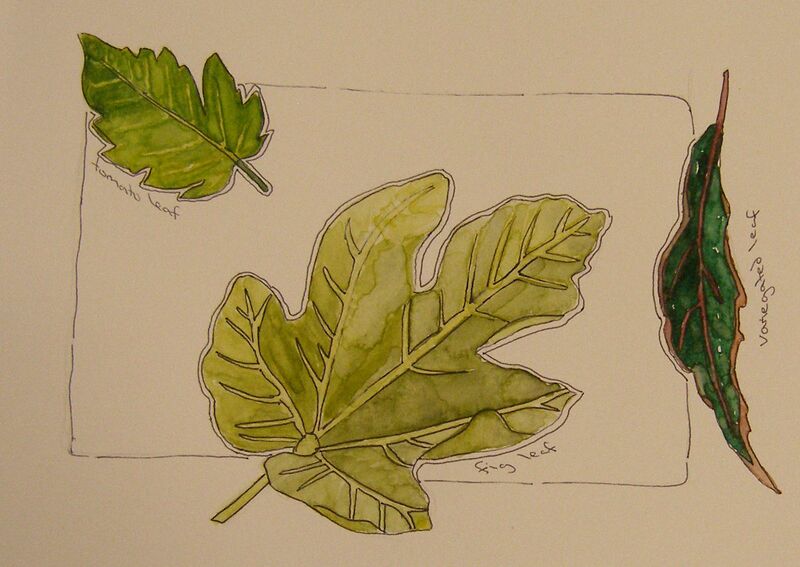 Quite a mixed bag in my sketchbook recently. 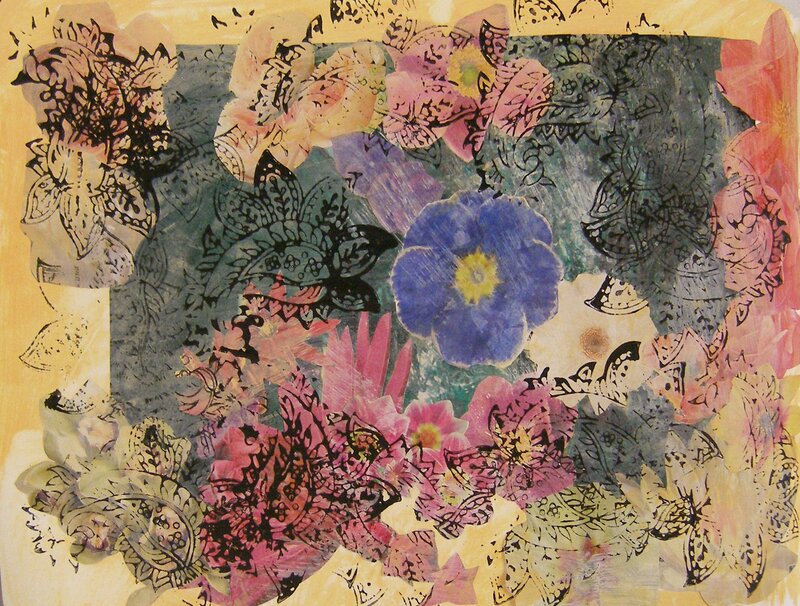 To start with, here is a layered collage of flowers cut out from magazines, gesso, stamping ink and the blue flower picked out in watercolours as a focal point. 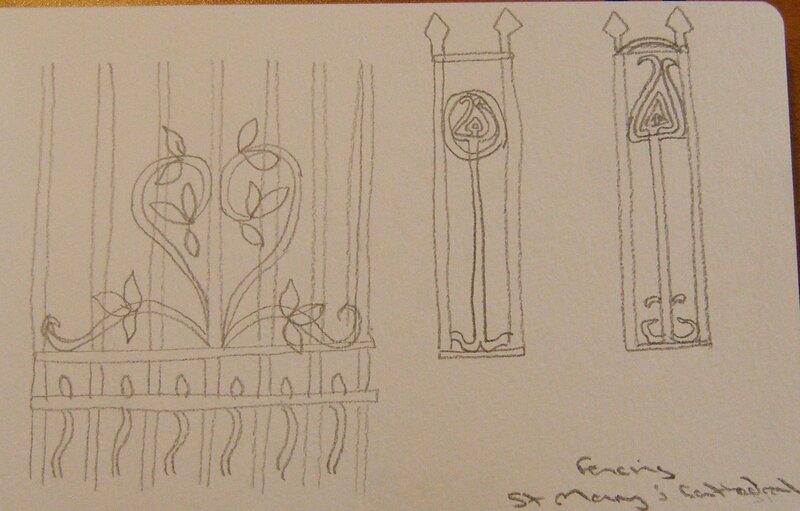 Next is just a pencil drawing of a fence with patterns that could be used in printing, stamping or would make good borders when tied together with the Charles Rennie Macintosh style roses I did with marker pen on fabric the other day. 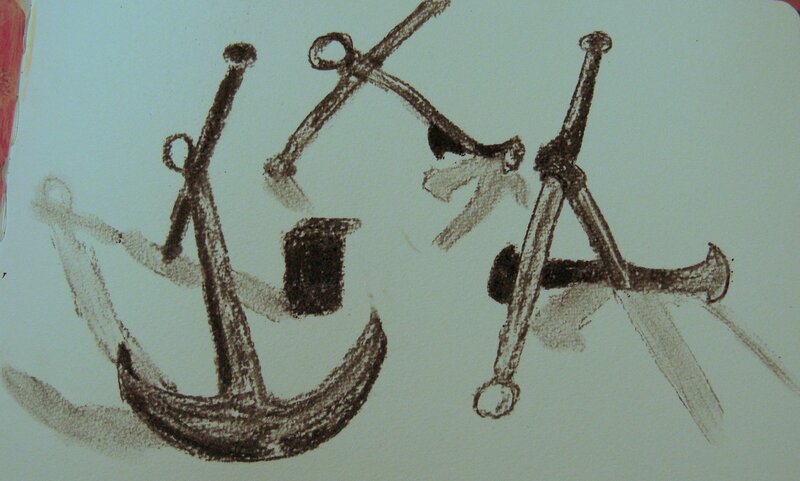 I did a trip out to our lighthouse and sketched the anchor that is on display there. This was worked in charcoal from a number of angles, concentrating on the proportions and shadows. The next two images are watercolour work. 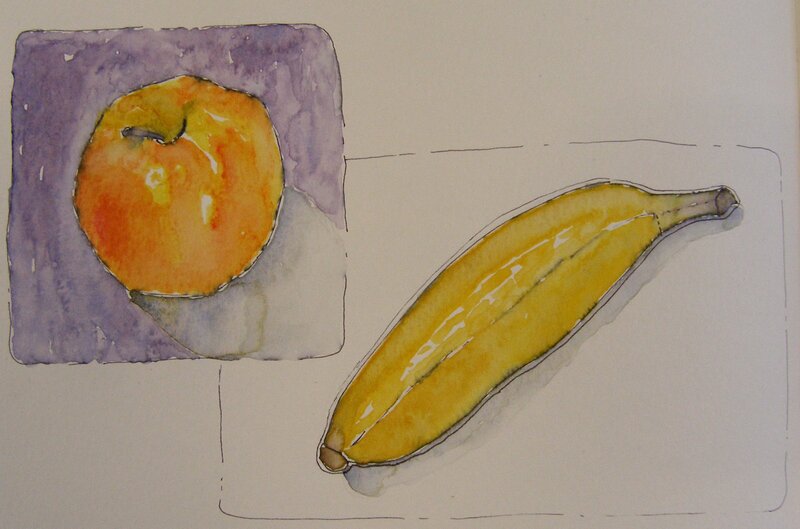 I have started an online course Sketching and Watercolours Journal Style. I have chosen to do this as I haven’t used watercolours before (only watercolour pencils) and I am hoping to improve my general sketching, observational and compositional skills while learning how to use watercolours. The “journal style” bit of the course is not a necessity for my A Creative Approach sketchbook work but I am going with the flow!